Safety Code 6 - Antenna Management Corp.
Wireless technology relies upon extensive networks of fixed antennas that relay information using radio frequency (RF) signals. Several reasons for public fear include media announcements of new and unconfirmed scientific studies, leading to a feeling of uncertainty and a perception that there may be unknown or undiscovered hazards. Considerable controversy currently exists in Canada retarding perceived risks from RF exposure. 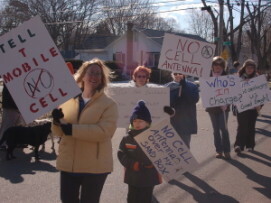 Residents faced with the possibility of a cell transmitter tower being erected on a nearby building or a tower near houses or schools or parks will often oppose the installations. Opposition to cellular antenna towers occurred recently in the City of Port Coquitlam with the School District 43’s board of education officially registering its opposition to a proposed cell tower location near Coquitlam River Elementary. The school trustees agreed unanimously to send a letter of opposition to the City of Port Coquitlam and Rogers Communications Inc. Moreover, in June, the same school board passed a motion to oppose any cellular tower or antenna within 305 metres of a school. On Vancouver Island, citizens of Colwood and Metchosin have been actively opposing efforts by Telus and Rogers to install cell towers. The Vancouver School Board has banned cell towers and the AFL CIO has opposed cell antennas on fire hall rooftops. Despite the recent controversy, the World Health Organization remains of the opinion stated in Fact sheet No 304 that “considering the very low exposure levels and research results collected to date, there is no convincing scientific evidence that weak RF signals from a base stations and wireless networks cause adverse health effects”. More recently, the National Research issued a paper that casts some doubt on the WHO conclusions. Amidst this ongoing controversy, The Federal Government and Health Canada have established mandatory testing and standards of safe RF radiation. Health Canada’s role is to protect the health of Canadians, so it is the department’s responsibility to research and investigate any possible health effects associated with exposure to electromagnetic energy, such as that coming from cell phones and cell sites. Health Canada has developed guidelines for safe human exposure to RF energy known as Safety Code 6. The limits specified in Health Canada’s RF exposure guideline document are based on an ongoing review of published scientific studies. To view the Health Canada’s Radiofrequency Exposure Guidelines, Health Canada Safety Code 6 (2009), click here. To obtain an electronic copy of the document, click here. The limits specified in Safety Code 6 are based on an ongoing review of published scientific studies. 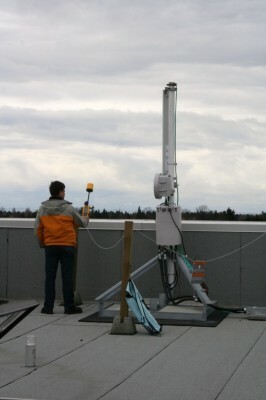 Safety Code 6 has been adopted by ISED and applies to all cellular antenna sites in Canada. It requires that all cell installations be tested and it further requires that upon any modification to the site it again be tested. ISED requires all radio communication and broadcasting installations to comply with its regulatory limits on an ongoing basis so that the general public is not subjected to exposure levels above them. Cell companies are required to perform an assessment of RF exposure on the proposed antenna systems to ensure compliance, and to keep records of the assessment. If you require information regarding compliance of a radio communication or broadcasting proposal or installation in your area, you should contact the Cell Company or operator of the installation. If the cell company does not provide the pertinent information within a reasonable time frame, contact your local ISED office. Safety Code 6 distinguishes safe limits for those trained individuals working of RF systems and those with no training. It establishes two standards. Exposure limits for RF workers are 5 times higher than that of the general public. Window washers, painters, roofers and general trade’s people who do not have any RF training the RF limits are that of the general public. Health Canada requires that the RF site access doors to the roof be labeled with a large sign that clearly warns people accessing the site to the degree of radiation. There are three different signs prescribed by Health Canada. The notice sign is the low level and should be placed on all sites and may be used where there is a Cell transmitter but the limits set as being safe for the general public. If the limits exceed that which is acceptable for the general public then a warning sign must be posted in positions to warn and clearly bring to the attention anyone entering the area of the potential health hazard. A danger sign must be posted at the entrance to warn any workers working on the rooftop if the levels of RF exceed the limits set for RF workers. 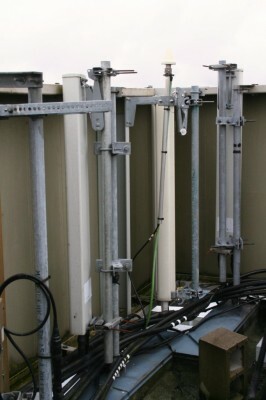 Additional steps may be required which may include fencing off the high RF area, reducing the power of the transmitters and removing or redirecting antennas. Health Canada continuously monitors any changes to this standard and may in their judgment alter the testing limits imposed by Safety Code 6. In British Columbia, Worksafe BC requires compliance with Safety Code 6 by all employers. In particularly in Section 7.23(b) iii of the Workers Compensation Act requires that employers comply with Safety Code 6. Failure to do so may subject the employer to administrative penalties up to $519,000.00 and even criminal prosecution. 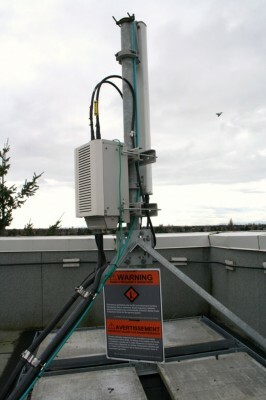 Cellular providers are required by law to provide Safety Code 6 reports each time changes are made to cell rooftop antennas. Some service providers will claim they are except from this requirement because they are a public utility. This is a false claim. Properly drafted license agreements between building owners and service providers spell that the service providers are required to comply to the laws and provide a Safety Code 6 test and report. 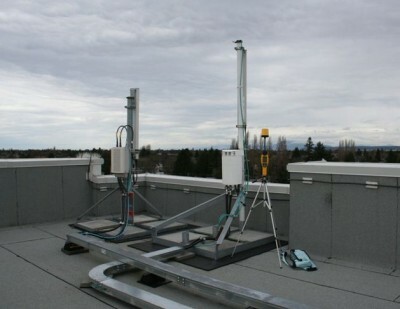 To avoid any potential building owner liability, it is important that the cellular antenna installation be monitored and that the building owner or management company regularly request copies of the completed Safety Code 6 reports for their building each time a change in the installation is noted. To protect your building against litigation and damage claims and possible class action litigation a building owner with one or more cell sites on its roof needs to insure rigorous and ongoing compliance by cell companies of their responsibilities under Safety Code 6. At AMC we have considerable experience in this and are able to advise owners and monitor ongoing compliance. Contact us today to find out strategies to reduce your liability as the building owner while maintaining the revenue that the cellular antenna installation can provide. Health Canada requires that the radio site which in all likelihood would be access doors to the building owners roof be labeled with a large sign that clearly warns people accessing the site to the degree of radiation. All sites must have the appropriate sign. ← Who is on your Property?